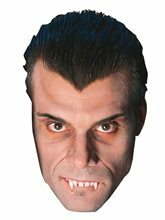 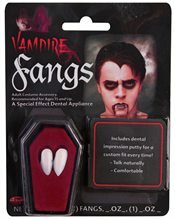 Vampire Fangs.Includes: Fangs and Tooth Putty.Transform into a vampire easily with these vampire fangs! 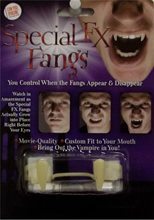 Comes complete with two fangs.Size: One Size Fits Most Adults. 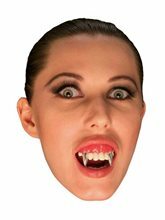 *Costume and Necklace Not Included. 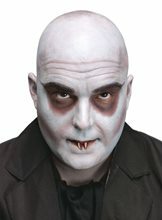 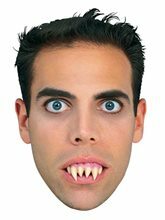 It includes one pair of Silver Vampire dentures.It can perfectly goes with your vampire costume.